Ultimately, normalcy returned. The team that was supposed to win the World Cup, won. In a tournament populated by bizarre narratives, favourites France emerged victorious, offering their players and coach soccer immortality. MOSCOW —​ Ultimately, normalcy returned. The team that was supposed to win the World Cup, won. In a tournament populated by bizarre narratives, favourites France emerged victorious, offering their players and coach soccer immortality. Yet even the championship match contained unusual subplots. We witnessed the first own goal in a World Cup final, the first VAR penalty and the first teenage goal-scorer since the legendary Pelé himself 60 years ago. France won not because the team dominated possession, nor because it had more attempts at goal. Les Bleus are world champions because they were composed and clinical. When the opportunities came, France took full advantage. A full 50 per cent of their chances ended up in the back of the Croatian net. You could argue they got lucky with the first two goals, but I've never spoken to a player who doesn't believe that every team deserves a little good fortune along the way. Didier Deschamps knew exactly what he was doing. The French mastermind, who captained France to its first World Cup 20 years ago, trusted his defenders to nullify Croatia's superiority in possession and then counter attack swiftly. With the exception of a sweet strike by Ivan Perisic and a moment of madness from goalie Hugo Lloris, the plan worked perfectly. The Croatians deserve enormous credit. They played a full part, not just in the final, but throughout the World Cup. Their technical ability, accompanied by remarkable resilience, grit and determination won them many admirers. Croatia earned the respect of the soccer world and can be justly proud of its achievements. It all added up to a hugely entertaining showpiece. Too many World Cup finals evolve into a tactical stalemate with both teams playing safety first rather than playing to win. Not this one; France and Croatia produced a memorable spectacle which history will remember as an admirable advertisement for the beautiful game. Indeed, it has been a refreshingly different World Cup. The usual suspects faltered, allowing us to broaden our collective soccer education. Germany's shocking capitulation allowed Sweden a run to the quarter-finals. Russia revelled in the spotlight. The host nation did itself proud and only a shoot-out loss denied the Russians a place in the semifinals. Belgium's golden generation finally delivered. A defensive masterclass shut down Neymar and Brazil in the last eight, and despite a heartbreaking loss to France, the Belgians bounced back to claim a very well deserved bronze medal. The world's two best players disappeared on the same night. Lionel Messi and Argentina were found wanting defensively in the Round of 16, and hours later Cristiano Ronaldo and Portugal failed to spark against Uruguay. Neither may grace the World Cup stage again. It's also unlikely Luka Modric will be back. His third World Cup was a huge success and the Croatian captain was a worthy recipient of the Golden Ball as tournament MVP. Modric will be 36 by the time Qatar 2022 rolls around, so if this was his swan song, he left on a personal high note. England's young captain leaves with mixed emotions. Harry Kane collected the Golden Boot as the World Cup's top scorer with six goals and padded his reputation in Russia. But Kane and his teammates also leave with a lingering sense of a missed opportunity. At 24, Kane will have more chances to shine on the international stage. 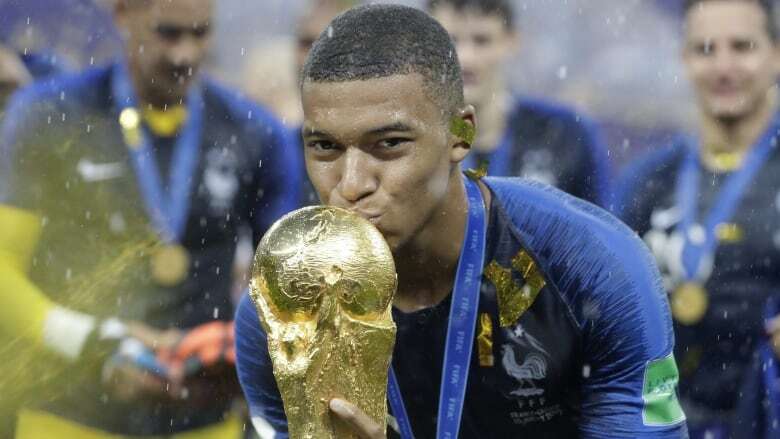 I'm not a fan of individual awards in team sports, but I am a fan of Kylian Mbappé. Mbappé becomes the second Frenchman in a row to scoop the Best Young Player prize, after Paul Pogba in 2014. What a career lies ahead for this 19-year-old. Mbappé has skill, speed, and swagger. He also has a World Cup winner's medal around his neck. He demonstrated maturity beyond his years and could spearhead France's offence for the next decade or more. I just hope Mbappé keeps his feet on the ground and keeps working on his game. So that's that. Another World Cup has come and gone. Our emotions have been drained by a month of non-stop soccer drama. In four years time, expect air-conditioned arenas in the Middle East, and fours years after that Canada gets to co-host — and hopefully compete. Nigel has spent more than 30 years covering a wide variety of sports in both Canada and Europe. He has worked on multiple Olympic Games and World Cups, specializing in soccer, rugby and golf. 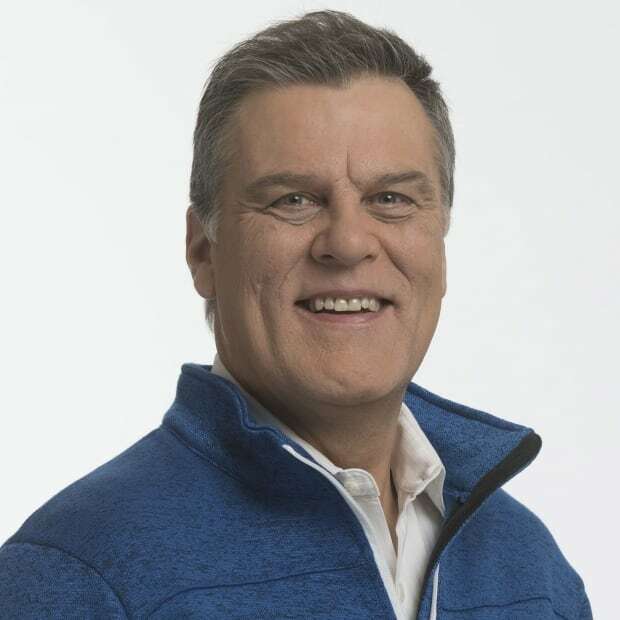 In recent years he has broadcast Major League Soccer, Rugby Canada, Toronto Wolfpack and the 2015 Pan Am Games.